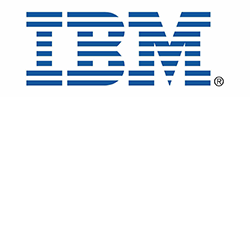 IBM is a global technology and innovation company that stands for progress. For more than a century, the company has focused on helping build a smarter planet. With over 400,000 employees and operations in over 170 countries, IBMers around the world invent and apply software, hardware, business consulting, and technology services to help forward-thinking enterprises, institutions and people solve their most complex problems. In Australia, IBM has been operating for over eighty years and has significantly invested in the local economy. With natural resources, digital transformation, and sustainable cities at the forefront of the national agenda, IBM's global expertise and innovation is helping Australia compete in the world economy. No business, no government, no individual. In fact, the entire conversation has shifted from focusing on “if you’re attacked” to “how quickly you can respond.” And that’s not likely to change in the foreseeable future. But when we think about cyber security, we tend to see a diverse collection of point-product solutions— each designed with a special target in mind. Imagine what would happen if our bodies functioned that way. The results could be deadly. The IBM Security immune system is a fully integrated approach that allows its components to grow and adapt within the infrastructure—working together to improve their effectiveness. So they can deliver intelligence, visibility and actionable insights across the entire system. And once the IBM Security immune system is fully engaged with your entire ecosystem—allowing collaboration across third-party vendors, technology providers and business partners—it can provide you with the intelligence you need to understand existing threats and adapt to new ones. IBM smarter aerospace services is about more than just delivering insights using predictive analytics. It joins real-time operational data from currently available sources with the IoT capabilities found in modern aircraft to help customers realize operational gains and costs savings—resulting in larger net revenues while simultaneously growing your top line revenue through new value-added services. IBM is the only company in our industry that has reinvented itself through multiple technology eras and economic cycles. We do so for one reason: to create differentiating value for our clients and our owners. We are doing so again, in an IT industry that is fundamentally reordering at an unprecedented pace. In important ways, our industry is unrecognizable from what it looked like just a few years ago. Today, IBM is much more than a “hardware, software, services” company. IBM is now emerging as a cognitive solutions and cloud platform company. Because IBM uniquely transforms both technology and business, our own reinventions in response to changing eras have been far-reaching. This is evident in how we have transformed our portfolio, shifting our R&D and making dozens of acquisitions to fuel our growth businesses. At the same time injected new thinking and talent into IBM’s culture - a powerful partner to solve any client problem innovatively and efficiently.